His campaign literature was a bit over the top, and why he even needed any to run unopposed for Dayton School Board was a bit of a mystery. But when you take a closer look at Dr. Adil T. Baguirov he, not Austin Powers, is Dayton’s own international man of mystery. 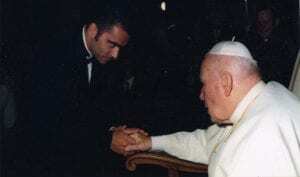 The literature (which I saved but can’t find at the moment) had a photo of the young Turk with the pope and another with Joe Biden. Not your run of the mill school board candidate, but he was unopposed, had a PhD, and had the 300 required signatures. What could we do? He came in dead last- of four (the write in didn’t stand a chance in hell). One thing has been clear in his tenure on the Dayton Board of Education, he’s been THE mover and shaker. He pushed hard for the one-to-one computer program and the decision to cut ties with former Superintendent Lori Ward and Treasurer Craig Jones. He was the loudest voice convincing others that internal candidates for replacement would be giving someone who got us in our current mess a promotion, thus starting David Lawrence’s oust. Most would say current Superintendent Rhonda Corr was his hand picked protegee (or maybe more appropriately, partner in crime). Since Corr has come on board, and while he was the President of the School Board, we’ve seen an insider deal to sell the Patterson Co-op site to the Port Authority (for a handoff to CareSource), an odd dismissal of a private developer’s offer on the Patterson Kennedy site near UD and MVH, a massive ruckus caused by a Reduction in Force driven by a supposed budget shortfall, and a push to spend $11 million to finance over 100 buses (with a full 10 year maintenance contract). And the uncharacteristic silence and tacit approval from the board about Issue 9: a play by Nan Whaley and the city to jack up the income tax, in part, to fund a competing quasi-public pre-school system. There was so much money behind issue 9 and we still don’t know the half of it, since the PAC “Neighborhoods for Dayton’s Future” hasn’t filed their post election report. Any half-wit journalist would start to wonder why, but since Dayton is sort of short on journalists, you’re stuck with me. For those of you not into the whole “reading” thing, here’s the video to whet your appetite. What did I do? Well, what any mediocre journalism student is told to do: “follow the money.” What I find is a lot of smoking barrels which point to the personal enrichment of Dr. Baguirov as well as a spiderweb of shell corporations and business partners. Sure, if we’d done our homework before he was elected, we’d have known this was coming, because Adil Baguirov is connected. Not just photos with the (previous-previous) Pope or Biden, either. It took months to put all the pieces together. Dr. Togrul Bagirov is the Executive Vice President of Moscow International Petroleum Club (MIPC), a non-profit non-governmental specialized international organization. He is a Special Advisor to the Russian Prime Minister, the Russian Minister of Energy, Gazprom, LUKoil, and Transneft. 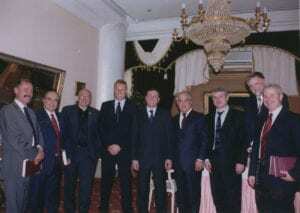 In addition, Dr. Bagirov serves as a Deputy Chairman of the United Nations Forum on Energy Security. Dr. Bagirov received a M.S. in International Relations, a Ph.D. in History from Moscow University (MGIMO), and a Ph.D. in Political Science from the Institute of USA and Canada of the Russian Academy of Sciences. He is an adjunct professor in energy security studies at MGIMO University. Dr. Bagirov also heads the public consultative center under the Russian Government for international projects in oil and gas. Dr. Bagirov is a member of the World Economic Forum at Davos, a participant in Russia-U.S. and Russia-EC Energy Dialogues, and a Deputy Chairman on the Board of Trustees of the Russian-American Business Council. And while all that sounds impressive, I’m not sure I can tell you much about Dr. B. senior. Other than, he’s done OK for himself. The people he’s rubbing elbows with in this venture, Worldwide Strategic Energy, are a bit better known like the lobbyist Stephen P. Payne. In July 2008, Payne attracted international attention after being secretly videotaped discussing a $750,000 lobbying contract offering access to senior U.S. officials and suggesting a $250,000 donation to the future presidential library of U.S. president George W. Bush. Dr. B. Sr. is also the chairman of the Baku Nobel Heritage fund, which describes itself as a “civil initiative to restore the Nobel brothers’ heritage in Azerbaijan.” Apparently, the Nobel family were the movers and shakers who developed Azerbaijan’s oil resources at the end of the 19th century. Introducing innovations like oil pipelines and steam-powered tankers to transform Baku into one of the world’s leading oil producers. This leads into one of the stranger Baguirov connections. Adil has a Wyoming Corp, “Nobel Brothers Pictures, LLC”, which is working to make a big-budget Hollywood movie called “The Big Game” about the history of the Baku oil industry. Recall that another movie about the history of Baku oil industry starring world-known actors will be shot in Hollywood. The multi-million dollar film to be produced by the chairman of the Baku Nobel Heritage Fund Togrul Bagirov in the frame of the Nobel project will show the history of Baku oil through the eyes of the Nobel brothers. The film will describe mutual relations in the Nobels-Rothschilds-Rockefellers triangle of the great powers and the global role played by the Baku oil. All this will be shown in the context of the Nobel oil empire’s prosperity and fall, the communist revolution in Russia and political compromises of the early 1920s. The film presumably will be called ‘The Big Game’ or ‘The Oil Wars’ and will underline that the Baku oil has always been in the focus of international attention, being “an award” which superpowers were endeavoring to gain. And the “world-known actors”- ready for it? The large-scale movie, which will be filming in Baku and the U.S., will be made with the use of innovative technologies.It is expected that the film will star Anthony Hopkins, Michael Douglas, Monica Bellucci, Antonio Banderas and Dolph Lundgren, Bagirov said. He has been very valuable to Russian national interests, obviously, since Togrul was also awarded Russia’s Order of Badge of Honour, signed by Vladimir Putin. Adil was born in 1978, which makes him just eligible to be one of the Dayton Business Journal’s “40 under 40” this year. Don’t worry, even I was one of the 40 under 40, so you know it’s not that big of a deal. However, Dr. B Jr. is kind of a big deal on paper. He went to the University of Southern California with a degree in International Relations and Business Administration, graduating in 1999. By 2002 he’d earned a Ph.D in Political Science from the Moscow State Institute of International Relations. In 2006 Weldon faced investigation by the Justice Department’s Public Integrity Section for suspected unlawful ties to two Russian companies and two Serbian citizens, when in a filing with the Federal Election Commission Weldon’s campaign committee reported that it transferred $70,000 to the “Weldon Legal Expense Trust”. Come 2009, he’s still in DC creating non-profits. And he’s also elected to the board of directors of the U.S. Azeris Network, an organization dedicated to coalescing the political power within the U.S. of Azerbaijani and Turkic diaspora communities. That’s a fancy way of saying lobby for the best interests of the legal immigrants, of which he is one. In 2013, just as he started showing up in Dayton, he married Sevin Elekdag in D.C. She’s the daughter of Sukru Elekdag, the Turkish Ambassador to the United States from 1979-1989. Check out the wedding announcement page in Turkish. She’s our own version of Melania Trump. We think the girl with the shoe addiction is Adil’s sister, who is an artist in NYC. This is where we start running into problems. As you may know, Adil has to file a few things as an elected official. 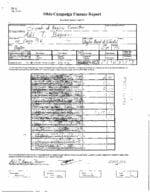 Our first document is his campaign finance reports, to which you really do have to laugh. He was running unopposed, yet still printed literature and bought signs, with his own money. Specifically, he spent about $2,200 (no contributors listed) on printing, signs, and $92.75 on online advertising. He lists his address as 111 Cooper Place West downtown. And, while this is an OK place for a nice, young, newlywed couple, they still had a house outside DC that was quite a bit nicer. 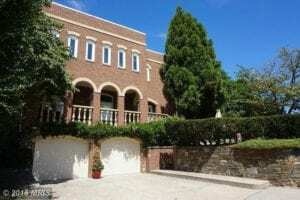 Bought 12/06/2004, for $552,000, 3920 Charles Av, Alexandria, VA, the 3 story townhouse was built in 1994. This property is notable in that it actually has his name attached, which we found to be a rarity. Since the property wasn’t in Ohio, he doesn’t have to list it on his ethics commission form. Adil made history as the first Ahiska-Turkish American to be elected to public office when he was sworn in to the Dayton Board of Education in January of 2014. Since his election, the School Board hasn’t quite been the same. They meet more often, and cause more consternation than any other school board in the region. There are deep divisions on the board, and the one member who seems to be at the center of almost anything that has controversy attached is Dr. B. But, considering who he’s worked for in the past, is it any wonder? Cycling back to his listed home, 111 Cooper Place, it was bought by his undisclosed shell company, Metroplis LLC of Wyoming (the state, not the suburb in Cincinnati) just before the election, August 27, 2013. We know this because we looked at his Ohio Ethics Commission Financial Disclosure statement. American Power- Freight and Logistics. Living with him is his spouse, Sevin Baguirov, and his two dependent children. The businesses listed/offices/fiduciary relationships, add “Megapolis” and “Oregon Renaissance” which is 400 E. 5th St. If asked what business he’s in, the standard answer is logistics. He owns “American Power LLC” which has offices on Troy Street. Interestingly, the last blog posts on their site are 2013… it seems once he got his $5000 a year job on School Board, the trucking company didn’t get the attention it once did. But, no worries, he’s got other ventures. Lots of them. One that he’ll admit to is Addison Home Health Care [full disclosure, I did some work for his business partner Islom Shakhbandarov, printing some business cards, and working on a craptastic boxing event that was being done in a hurry] which has its offices in the Oregon District, above Salar. The building, formerly owned by shadow Mayor Dr. Mike E. Ervin, was originally owned by Oregon Renaissance LLC – a firm set up on 3/12/2008. 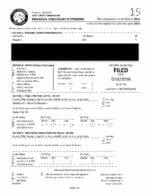 On August 29, 2014 paperwork was filed to make Turbillion LLC a subsequent agent of Oregon Renaissance. Adil lists himself as a director in his 2015 ethics statement. What is the address of Turbillion? 111 Cooper Place of course. In the Ethics Statement, he’s listed as a director of Addison as well. What’s more interesting is what’s missing from his disclosures. Two other medical firms, one in his name and one in Sevin’s. That’s a no-no. It’s why I contacted the Ohio Ethics Commission and asked them to investigate in the first place. Adil seemed, to me, the only one in the loop on both the CareSource sale of school-owned real estate and the denied sale to a private developer. He has companies doing business in the medical field, and both Premier Health and CareSource are the 800lb gorillas in the industry. This could be a conflict of interest, if Baguirov’s companies work with CareSource or Premier. Right after I brought up this conflict of interest in Millennial Medical LLC at the Dayton Board of Education Meeting on February 14th, he filed to “kill” the corporation. I was holding the knowledge of “Montgomery Medical Holding LLC” as my hole card. Metropolis Holdings LLC lists 111 Cooper Place W. as its mailing address, and its business address is the Troy St. American Power offices. Remember, the Cooper Place house was bought by Metroplis LLC of Wyoming, so we have at least 2 Metropolis branded companies. The problem is, we’re pretty sure that Adil and Sevin don’t live at 111 Cooper Place W. A quick look at voter records finds two things. Sevin isn’t registered to vote in Ohio and Adil isn’t registered to vote at Cooper Place. Adil is registered to vote at 630 Maryland Ave in Old North Dayton, a 1,300 square foot house bought for $10k by Ismat Shakhbandarov. Slight problem, I don’t know who is Ismat is. I do know that Islom Shakhbandarov is Adil’s business partner in Addison HHC. Don’t worry, Islom, who drives a Range Rover, is also registered to vote at this humble house. If you think that Adil just crashes at 630 Maryland Ave home with his beautiful wife and two young children and Islom too, well, you’re about as gullible as the rest of the school board who has been buying Adil’s guidance hook, line and sinker. Nope, I don’t think Adil lives in the school district. 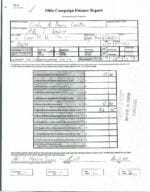 Sevin also may not live in Dayton, since we found a building permit (see page 54) in Adil’s name for 4611 Charleston Ter NW, Washington, DC 20007. When we look to find the owners name in the DC.gov Office of Tax and Revenue site, it’s Metropolis LLC. This is a house more befitting of the Baguirov family, bought for $1,560,000 on 12/02/2011. Check it out on Zillow. Sure, Sevin may still live here and Adil flies out every weekend. The more likely answer is, they’ve got a new mansion and it too is not in Dayton, but in the Vandalia Butler School district. Once again, Metropolis LLC bought a home. 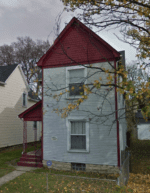 This one has two addresses: 8 Meeker Place is on the tax record, bought Oct. 2nd of 2015 for $495,000. This beauty is 5,352 square feet, and you could safely and covertly park that Jag in the driveway, it’s a gated community. The Zillow address is 7077 Meeker Commons Lane Dayton OH 45414 and the house is described as 4 beds 7 baths 5,702 sq ft. It looks like a very nice house. Why is this a problem for Adil? Well, one of the conditions of being on the Dayton Board of Education is that you actually have to reside in the school district. His kids aren’t old enough to be enrolled in school, and it’s a moot point, he’d probably send them to a private school. The question of residency gets a little muddled in Ohio, thanks to our very own Secretary of State Jon Husted. He had a vacant house in Kettering while he lived in Columbus, when he was a State Representative. I don’t want to get into the legal quicksand on this issue, but there is a major difference. Husted actually owned the house in Kettering and no one else lived there. Really, it’s not much different than Tony Hall living in DC all those years as our congressman, while keeping a small bachelor pad here in town. Again, the house was his. Now, this would all be great and fine, except, if Adil lives in 111 Cooper Place, which he owns, why is he registered to vote at 630 Maryland which he doesn’t? Is that voter fraud when he and Islom went to vote for president last year? Or, does he live in the mansion outside the district, 7077 Meeker Commons Lane Dayton OH 45414? Well, that would have to be his residence if he decides to run for State Rep Mike Henne’s seat when it comes open. Word on the street is that’s his goal. The question is, who enforces the rules when it comes to residency? I talked to the Board of Elections, the Ohio Ethics Commission, the Secretary of State’s office, the BOE again. I put a call into the prosecutor’s office and then told a few trusted people within the school district. No one knew who would be the ones to investigate and prove the residency. It requires a court order to put a tracking device on his car. Frankly, I don’t have time or the inclination to start tailing him all over town. It’s time to investigate not only his residency and his legitimacy on the Board of Education, but take a deep look at possible conflicts of interest. His many holdings in companies could be enriched by his actions on the board (eg. bus purchases and vacant land sales). In the past, I’ve called for an elected chief ethics officer position in each county to help wage integrity in office on behalf of citizens who always get the run around when they bring issues like this to light. And as always, I have to sit and wait for the Dayton Daily News to do their normal theft of my story and not give credit. Then wait for the people in the statehouse to move, if they even care. I’m sure that the athletes in Dayton Public Schools will suffer more from the in-depth investigation of Dunbar playing an academically ineligible player in a football game against Belmont, than what will happen to Dr. Adil Baguirov, because politicians policing politicians is the lunatics running the asylum. With all the noise in Washington about connections to the Russian government and interference in our elections, this story of our very own International Man of Mystery surely won’t be discussed on the Sunday morning talk shows, but isn’t it nice to know that international intrigue can happen right here in Dayton? Good grief, Esrati. You’re our own Woodward/Bernstein. Nice work! Great research – hope people are paying attention! Why would a guy with all of these “irons in the fire” want to be on the board of a flailing and failing school district? Especially when there is doubt he even resides in the district, and his kids don’t attend school yet. Dave C., why would Dayton voters elect him is an even better question. research. You probably have shook up a few Ohio offices. Don’t ever quit your writing and investigating work. Thank you so much. Dave C- he was elected because he ran unopposed. He probably did live in the district when he ran- or at least had a house he stayed at occasionally. He no doubt got some brownie points from Nan and company for backing off of their levy during the same election that the city of Dayton had one on the ballot. Any idea of his political affiliation (D or R) ? I would really, really hope that the DPS board position is non-partisan and even if it is, they typically don’t run on a party platform for those. Dave: Do you or anyone else know if he’s perhaps connected to the Fethullah Gülen organization? @myself- no, he’s not connected to Fethullah Gülen, they are Erdoan supporters. The Gülen people run the Horizon science academy. Are Adil Baguirov and Togrul Bagirov even related? Their last names are not spelled the same in this article.